GATE 2014 results are out,now every knows their Score and thinks about colleges,Which college will I get for my GATE score? 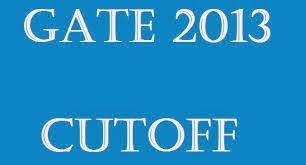 Here i want share you last year NIT Cutoffs which will helpful to decide your self for colleges. I have taken this information from CCMT which was conducted a counseling for M.tech admissions in all NIT from last two years. 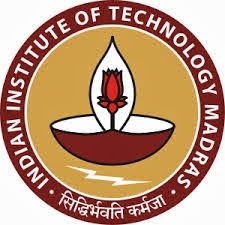 IIT Madras invites GATE qualified candidates from different disciples for M.Tech admissions,the last year GATE cutoffs are given by us for reference you can check it here. (c) Qualified in GATE 2013 or 2014. (Candidates graduating/graduated with B.Tech. degree from IITs with CGPA of 7.5 and above for SC/ST category and 8.0 and above for others can apply without GATE score). How to apply: Application can be submitted only ONLINE . The application fee is Rs.100/- for SC/ST/PwD candidates and Rs.200/- for others ( to be paid online). Instructions on how to apply are available on the website http://mtechadm.iitm.ac.in. In case of difficulty in applying online, please contact: The Chairman, M.Tech. Admission Committee, GATE Office, IIT Madras, Chennai 600 036 (Phone No: 044-22578200 Fax : 044-22578204 E-mail : mtechadm@iitm.ac.in). After getting GATE ranks peoples are in confusion where will I get admission for m.tech,here we are providing last year gate cutoff score for ece branch in IIT Delhi,which will used for reference. After getting GATE ranks peoples are in confusion where will I get admission for m.tech,here we are providing last year gate cutoff score for ece branch in IIT Madras,which will used for reference. VIT is one of the premier institute in INDIA to provide technical educations to graduates and post graduates and also they provide good placement for all branches.VIT University is one of the top in campus placement records among private institutions in India. It is proud that its graduates are highly rated by employers from industry and commerce in the private and public sectors . Vellore institute of technology(VIT) is one of the premier deemed institute in India, so many students across the globe are joining in this institute.It provide valuable education and good placements to both ug and pg students.VIT offers facilities that are exceptional in every way. The environmental friendly green campus is domicile to a wealth of well equipped modern laboratories, a state- of the- art library, smart class-rooms, computing facilities for a new digital generation, excellent placement and training services and much more, to provide a perfect ambience conducive for growth through learning. VIT invites applications for M.Tech or MCA admissions through VITMEE examination. The applicant for admission should be a Resident Indian National and should have graduated from Institutions located in India. .Candidates should have completed their final Semester/year exams before the selection interview at VIT University. It is compulsory for candidates who are selected to produce their final year marks’ statement and Provisional degree certificate before August 15th, 2014, failing in this attempt will lead to the cancellation of the admission. Postgraduate Entrance Examination (PGEE) 2014 will be held on 13 April, 2014 for admissions into m.tech/m.s/ph.d in iiit hyderabad. The examination will be held at Hyderabad and a number of major cities in the country depending on the number of applicants from each region. The entrance examination will consist of two papers. Paper I test the general aptitude of the candidate and will consist of objective questions from Mathematics, Programming, and Logical Reasoning. Paper II is the Subject Paper, which tests the candidate's subject knowledge. How o apply: All applications should be submitted through online in PGEE portal. To submit the application, a candidate has to complete two registration forms: Pre-Registration Form and Main Registration Form. Demand Draft Rs. 2000/- for one programme and Rs. 50/- extra for each additional programme applied in favor of IIIT Hyderabad payable at Hyderabad for appropriate amount should be drawn. A candidate must write application number (received in the confirmation mail) along with the name, email id on the reverse side of the demand draft and send the same to the Chairman, PG Admissions, IIIT, Gachibowli, Hyderabad-500032, Andhra Pradesh. 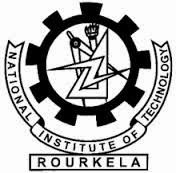 NIT, Rourkela has launched a Summer Internship Programme with an objective to encourage ambitious bright B.Tech. as well as B.Sc. and M.Sc. students of different Institutes in India other than NIT, Rourkela to pursue an innovative research and development project under the guidance of NIT faculties. Qualifications: Any B.Tech.,B.Arch., B.Sc or M.Sc. student with a good academic record who has completed 2 or 3 years of study toward engineering or science degree, MA in Development Studies (1st year), MBA (1st year) may apply for this fellowship. Duration: two months between 12th of May to 16th of July, 2014. How to apply: Interested students need to complete the online application form before 26 March 2014 (Wednesday).